Join us each month for Career Crossroads, a look at how journalists, bloggers, and freelancers are adapting to changes in their media careers. Catch up on previous installments at bit.ly/careercrossroads and access job opportunities and other free media tools on PR Newswire for Journalists. When it comes to writing, author and journalist Paula McCoy-Pinderhughes (@awomansgame) keeps her advice simple: Don’t stop. “Keep writing, no matter the genre, the industry, the venue you find yourself in,” McCoy-Pinderhughes says. Minority journalists especially may become frustrated when deciding the type of book to write. Consider some recent figures reported by Cooperative Children’s Book Center. In its Multicultural Literature 2014 report, the center found 69 books out of 179 books about Africans/African Americans were written and/or illustrated by Black book creators last year. For Asian Pacifics/Asian Pacific Americans, that figure came to 48 books out of 112 books; Latinos wrote 36 books out of 66 books; and American Indians wrote 15 books out of 36 books. McCoy-Pinderhughes recommends the how-to genre as a great learning experience for journalists interested in reporting on various media platforms. But, she warns it won’t come easy. But fiction writing is her first love. 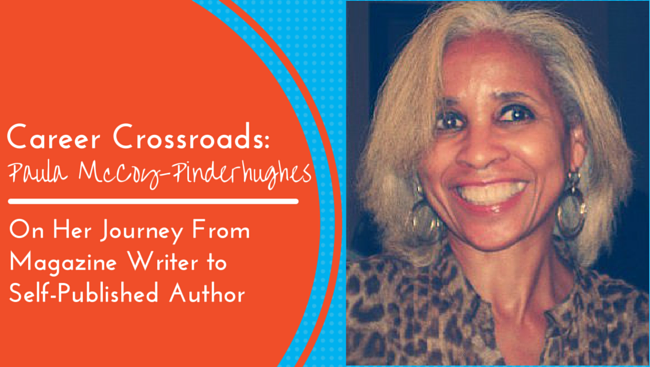 McCoy-Pinderhughes says she can lose herself in the storyline and in the characters she creates and develops within a manuscript. Her latest book, A Woman’s Game, tells the story of an affluent African-American family destroyed by a Thanksgiving holiday toast. McCoy-Pinderhughes’s writing experience is pretty diverse. Early in her career, she self-published a poetry book entitled Quite Simply How I Feel. Give constructive advice. McCoy-Pinderhughes explains that writing a how-to book takes extensive research to make certain the advice you’re giving is accurate and helpful. Make it easy to follow. You want your how-to book to be useful. McCoy-Pinderhughes compiled her information into an easy-to read, friendly guide that included a multi-question checklist after each chapter. Know your audience. Her nonfiction, self-help guide How to Be an Entrepreneur and Keep Your Sanity was inspired from conversations with established small business owners for those who wanted to start a business and maybe didn’t quite know where to begin. Jessica Alas is Multicultural Audience Director with PR Newswire. Follow her at @alasjessica.